The College Educational Master Planning Committee (CEMPC) is a shared governance committee of the College Council. It is based on college data and input from shared governance constituencies; CEMPC recommends annual institutional priorities to strengthen program practices to maintain quality instruction and services and improve student achievement and learning. CEMPC will meet once a month, generally on the 1st Wednesday of each month from 3:00 to 5:00 pm, prior to the District Educational Committee meeting. As an important, high level, working college committee, every effort will be made to schedule ALL the meetings for the full 2 hour time period. Working Groups will set the times for their meetings that correspond to their members’ schedules. 1. Initiates a review and updates the mission statement in conjunction with the Educational master Plan process (every 5 years) with college-wide participation. 2. Annually participates in the review of District Strategic Goals and Institutional Objectives by completing the following: a) participates in the alignment of the college goals/objectives with District goals; b) establishes annual committee goals during the month of September. 3. Annually participates in the recommendation of institutional priorities based on College Educational master Plan and District strategic educational goals. 6. Reviews proposals and reports from shared governance entities and internal and external constituencies, makes recommendations to the College Council with alignment to the College’s Educational Master Plan and priorities. 7. Reviews accomplishment reports quarterly from the administration that align with District strategic goals and institutional outcomes. 8. Quarterly, monitors the progress of the CEMPC goals with a summary report due at the end of the year. 9. Provides leadership for the Annual review and update of the College Educational Master Plan. 3. Review By-Laws, 1st meeting in September and modify as needed. 5. Create working sub-committees to fulfill charge duties, as needed. 1. Resource Requests Working Group (summarize resources request) (Program Viability Working Group). 2. First meeting duties of Working Groups: Take time consuming duties and bring their work back to the second meeting for review and approval of the full committee. 3. Working Groups create and recommend institutional priorities annually based on the College’s Educational Plan and the District Strategic Goals. See CEMPC Membership for details on membership, duties, etc. 1. Regular meeting will be held at least once a month during the regular academic year. If a holiday falls on that day, the meeting will be rescheduled. The Co-Chairs may call extra meetings if special needs require them. 2. A quorum will be 51% of the active voting members. A quorum must be present in order for CEMPC to conduct business. All actions by the committee shall require a simple majority. 4. The actions and deliberations of CEMPC are to be consistent with Board Policy 2510 & Administrative procedures 2511 implementing Title 5 of State regulations. 5. 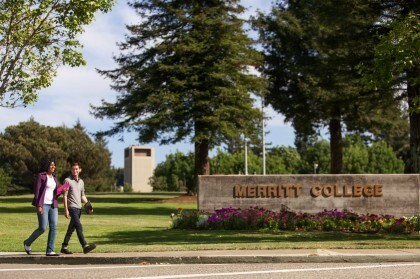 CEMPC co-chairs and an administrative representative will represent Merritt College at the District Educational Committee, unless otherwise designated by the College President. 1. Amendments to these by-laws may be proposed by any member of the committee or the College President. 2. Proposed changes will be circulated and reviewed for comments by all constituent groups. 3. Amendments will be considered adopted by CEMPC when approved by two-thirds of the voting membership and then forwarded to the College Council for final approval.